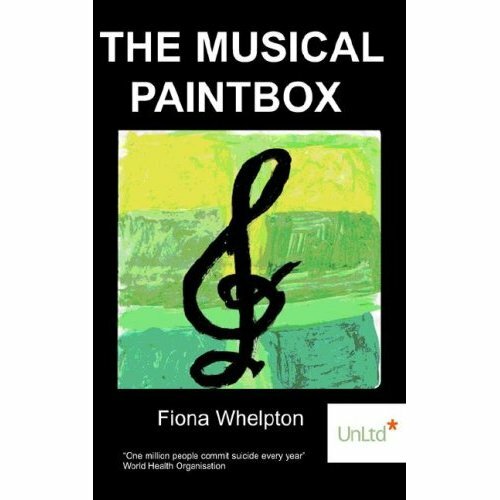 “Fiona Whelpton is a gifted and wonderfully talented writer. Her piece 'The Cycle Path' tugs at your heart and begs you to ask the question; do we have to be different? 'The Cycle Path', through its words, music and staging has done something so special - telling the story of those of us living with dysfunction and disability and through it all a message of hope." – Jamie Glaser, Author and Internationally Renowned Musician. 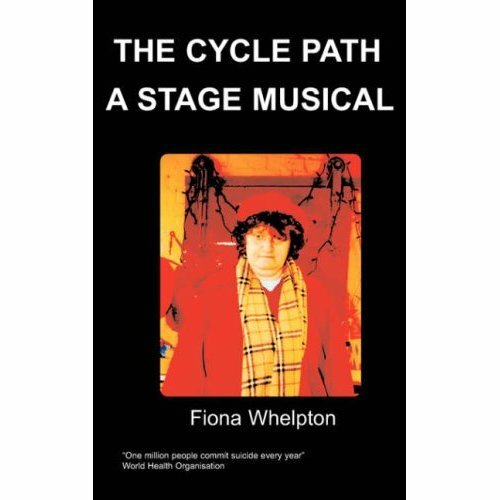 This is the stage musical script of 'The Cycle Path' previously released by Chipmunka as a paperback in 2004. The musical is expected to make its stage debut in 2007. 'The Cycle Path' is the remarkable story of a woman who suffers from and overcomes Conversion Syndrome Disorder (CSD), a rare, crippling and extremely frightening condition which causes physical paralysis bought on by anxiety. 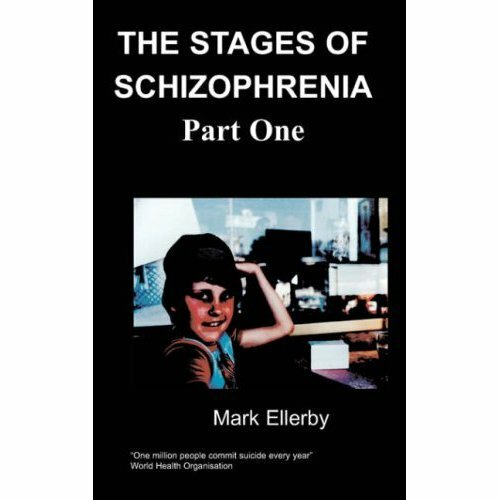 This real life story describes how Fiona experienced domestic abuse, family problems and how she managed somehow to overcome all this not knowing for years what her illness was. She is now a successful journalist and activist. The Cycle Path is an admirable story of hope and empowerment and is essential reading for all health workers and sufferers of similar conditions - particularly as CSD is so unknown and widely misunderstood. Fiona Whelpton was born in London in 1957 and now lives in Nottingham. As a youngster Fiona wanted to become a professional musician, but she couldn't because it caused her too much stress - something that her condition dictates she must avoid. Instead she became interested in writing and read English Literature and Media at Nottingham Trent University. She is an accomplished poet having had an anthology of sketch work and poetry called 'Patchwork Windows' published with the Lost Artists group. In 2004 Fiona received the Snowden award for journalism which will allow her to pursue her dream of being a top journalist; she is currently working on getting this musical performed on stage. THE KITCHEN, THE FOLLOWING MORNING. FIONA: Why can’t I find my tablets? Daniel didn’t come back until really late, as normal. I never saw him, but he woke me up playing his music full-blast. MRS WHELPTON: Are we going shopping today? Mrs. Whelpton: Make sure you and Matthew are ready early, and I’ll be over to fetch him. FIONA: I don’t think I’ll be able to go out today, better try though. Maybe if I walk through the pain, I’ll be able to carry on moving …… but right now, I don’t know that I’ll even be able to manage the stairs. If only I could find my painkillers. There’s absolutely no sign of Daniel. Well if next try to get ready. THEME SONG AS WE TRAVEL ON LIFE’S JOURNEY. THE JOURNEY OF LIFE’S RICH PROMISES. FIONA: Come on, Matthew, Granny will be here in a minute. MATTHEW (yelling) I don’t want to go out. FIONA; Matthew – I really don’t want to have to smack you – put your coat on. FIONA: That’s the neighbour. Now see what you’ve done. You’re nothing but a spoiled brat. (LOUD KNOCK ON THE DOOR) That’s Granny. (GOES TO OPEN THE DOOR. MRS WHELPTON STANDING OUTSIDE. MRS WHELPTON: Aren’t you ready yet? I gave you plenty of warning. You could at least be ready on time. FIONA: I haven’t been able to get Matthew to do a single thing he’s been told this morning. I can’t walk properly this morning, either. Just take him. I’ve had enough. MRS WHELPTON: What about the shopping? FIONA: I don’t think I can walk. MRS WHELPTON: There are wheelchairs in there. We’ll just have to use one of theirs. Get your walking sticks, and we’ll be off. CHORUS OF WHEELCHAIR USERS AND SIGNERS ONSTAGE. WHEELCHAIR USERS…..SOME CAN STAND UP , SOME SIT DOWN. THOSE STANDING UP USING WALKING STICKS LIKE A FRED ASTAIRE STYLE CANE. SONG: WE DON’T HAVE TO BE DIFFERENT. TO BE ABLE TO WEATHER THE STORM? BEFORE THEY HEAR WHAT WE HAVE TO SAY? BECAUSE MY WALKING GETS IN THE WAY. OR STOPS US STANDING UP TO FIGHT. AND WHAT I HOPE YOU’LL BE ABLE TO SEE. FIONA’S FRONT DOOR. MRS WHELPTON, FIONA AND MATTHEW STANDING OUTSIDE WITH SHOPPING BAGS ON THE FLOOR..
We’ll have to go to the phone box. MRS WHELPTON: I’ll go. I think it will be easier if you and Matthew wait here. MRS WHELPTON: I spoke to Daniel’s Dad. He did come back to the flat. Daniel’s Dad’s coming over, he says we’ll have to go and spend the night at my place – we have no choice. (Picks up shopping) How will he be able to get in? NARRATOR( ONSTAGE) When Daniel’s father eventually managed to get into the flat, with the help of the police, who had to break the door down, they found that he had taken an overdose of Fiona’s medication, and was unconscious, so he had to go to the hospital for a stomach pump, and stay there for a few days. It took Fiona a very long time to realize that she wasn’t doing herself or her family any favours by giving him so many chances, sometimes it’s like flogging a dead horse. But eventually Daniel made that choice for her. He disappeared with Matthew. She would never be able to trust him again, ever, and neither could her son, not only that, but it would make life so difficult for Matthew that he might find it impossible to ever trust adults again.